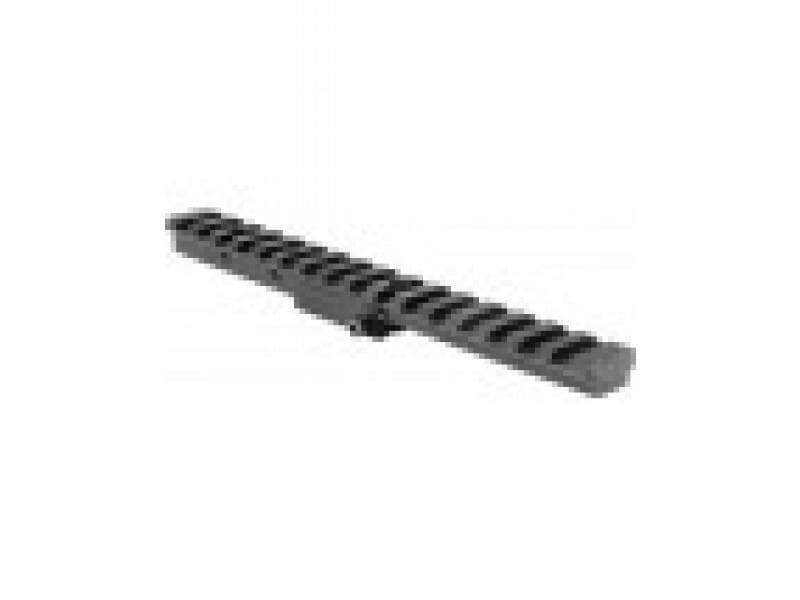 Drop in long eye relief scope mount provides a generous 6.5 of rail space to get the most out of your surplus rifle. Compatible with 91/30, M44, M38, M39 & Chinese 53 models. Turn your milsurp rifle into a precision hunting rifle! The AIM Sports Mosin Nagant Scope mount fits a wide variety of Mosin Nagant action rifles, and provide an excellent platform to mount magnified optics on your rifle. Take your short M44/M38 rifle and add a red dot for a fun bolt action run and gun! Don't be limited by iron sights, or hurt your rifle's conductibility with permanent alterations. No gunsmithing required, completely reversible.